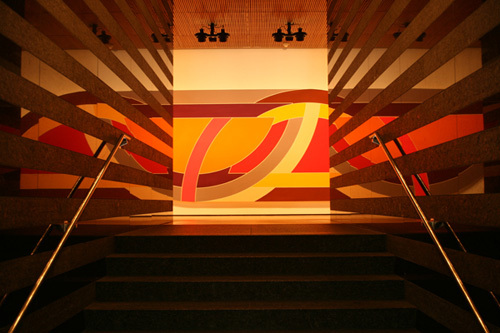 Frank Stella, Khurasan Gate (Variation ) I, 1969. Polymer and fluorescent polymer on canvas. The more of Stella’s work I see the more I appreciate it all.